The symptoms are similar, but what’s the difference between a food allergy and food intolerance? According to a recent study, less than 4 percent of Americans have food allergies or intolerances. If you have a list of foods that you regularly avoid because they cause nausea, hives, swelling, cramping, gas, or diarrhea, it’s natural to assume that you’re suffering from a food allergy. But it may not be what it seems. While some of these reactions are distinctly related to allergies, your body might be suffering from what medical experts define as a food intolerance. Therefore, it’s important to know the difference between a food allergy and a food intolerance. Before we examine the differences between a food allergy and food intolerance, let’s discuss what causes a food allergy. An allergic reaction occurs when your immune systems identifies a food or a substance within a food as dangerous and attempts to protect your body from it. This reaction can cause nausea, vomiting, cramps, swelling of the tongue, and wheezing. The most severe allergic reaction is known as anaphylaxis (pronounced an-a-fil-LAK-sis), which is life-threatening and can affect your breathing, blood pressure, and heart rate within minutes of exposure to the trigger food. Anaphylaxis must be treated immediately with a shot of epinephrine to counteract the reaction. About 90 percent of all allergic reactions are caused by eggs, peanuts, fish, wheat, shellfish, soy, and milk. Can You Inherit Food Allergies? While allergies tend to run in families, there’s no way to predict whether a child will inherit a food allergy from his parents or siblings. It’s possible, in fact, to develop a food allergy at any age, or for an allergy developed as a child to resolve in adulthood. 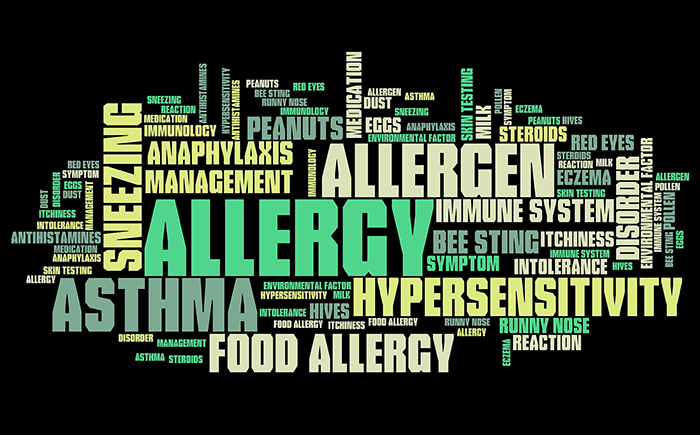 People with other types of allergies, such as hay fever or eczema, have a higher risk of developing food allergies. Asthma also commonly occurs with food allergies, and the two conditions are more likely to be severe if they exist together. Approximately 15 million Americans have food allergies, according to Food Allergy Research & Education, and one in every 13 children is affected. If you suspect you’re allergic to a specific food or food group, visit an allergist who can administer tests to determine if an allergy indeed exists. If your tests return with positive results, you’ll most likely work with your allergist and a dietitian to help you avoid trigger foods and treat any reactions that might occur since there is no cure for food allergies. Although the symptoms can be similar, a food intolerance (or food sensitivity, as some doctors call it) is quite different from a food allergy. Whereas a food allergy is your immune system’s reaction to a trigger food, a food intolerance involves your body’s inability to digest a particular food. For example, people who are diagnosed with lactose intolerance are unable to digest the lactose found in cow’s milk because their bodies don’t produce the necessary enzyme. Irritable bowel syndrome, food poisoning, and food additive sensitivities are also considered food intolerances. 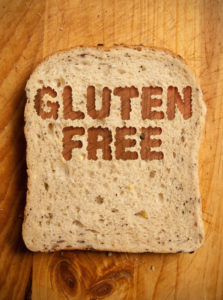 Celiac disease sometimes falls under this category and is labeled as a gluten allergy or gluten intolerance, although it’s medically classified as an autoimmune disorder and is more complex than the two. Food intolerance symptoms aren’t typically considered life-threatening and are often limited to the digestive system. Food intolerances can generally cause stomach cramps, bloating, gas, diarrhea, nausea, and vomiting. In terms of treatment, your doctor may first seek to rule out any possible allergies followed by an IgG reaction test (see sidebar below) that could identify and measure undigested food proteins that have entered your bloodstream. Once the problem foods are identified, your doctor will advise you to either avoid these foods entirely or at least for a certain period of time. In cases of lactose intolerance, you may be able to tolerate lactose-free dairy products or regular dairy products in limited amounts. The skin prick is the most widely used test by allergists. It involves, as the name implies, pricking the skin and exposing the body to the allergen in question. If IgE (immunoglobin E) antibodies are activated in the area of the prick, the skin develops a mark called a wheal. This is considered a positive result. Your doctor also might choose to diagnose your food allergy or intolerance by using a blood test. Depending on your symptoms, your blood could be tested in two different ways. IgE test: Immunoglobin E allergies occur almost immediately after a trigger substance enters the body orally or through inhalation. These types of reactions can cause swelling, hives, difficulty breathing, and, in severe cases, anaphylactic shock. When an IgE test is administered, it can reveal the antibodies associated with allergies in your blood. This test is the mostly used to diagnose common food allergies. IgG test: Immunoglobin G antibodies, on the other hand, are more closely associated with food intolerances because they identify delayed reactions to trigger foods. While most allergists believe that this test isn’t particularly useful, previous research has shown that IgG antibodies against various foods are linked to migraines and IBS and that avoiding foods that cause your immune system to produce IgG antibodies has been shown to help curb headaches and calm IBS symptoms. allergen, allergic reaction, allergic reactions, allergies, allergy, allergy research, allergy symptoms, allergy testing, asthma, bloating, blood pressure, bowel syndrome, celiac, celiac disease, children, common food allergies, cramping, cramps, cure for food allergies, dairy, diarrhea, digestive, eczema, food, food allergies, food allergy, food allergy research, food allergy symptoms, food intolerance, food intolerance symptoms, food intolerances, food poisoning, food sensitivity, gluten, gluten allergy, gluten intolerance, hay fever, headaches, hives, ibs, ibs, ibs symptoms, igg allergy testing, immune system, irritable bowel, irritable bowel syndrome, lactose intolerance, migraines, milk, skin, soy, stomach cramps, wheezing.